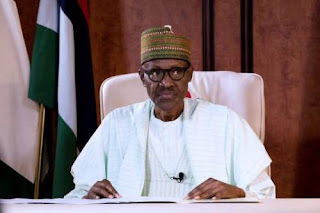 President Muhammadu Buhari says it is “ridiculous” and “unfair” to suggest that he is not concerned about the killings in Zamfara state. Writing via his Twitter handle on Sunday, the president said ensuring the protection of lives of Nigerians remains his primary responsibility. Zamfara has been experiencing attacks by bandits which have caused many lives, including 50 killed on Tuesday. The attacks have triggered protests and criticisms with many Nigerians accusing Buhari of not doing enough to address the situation. But the president said he has been following developments in the state, promising that his administration is determined to tackle the menace. “It is ridiculous and unfair to suggest that I am not concerned about the situation in Zamfara, or doing anything about it. Ensuring the protection of the people of Nigeria is one of my primary responsibilities and functions. No other issue dominates my attention as much,” he wrote.